Giant Flying Turtles - Waltz To The World (4 song selection). Background - With a sound about as unique as their name, Giant Flying Turtles are carving a place for themselves in, and beyond, the thriving Brooklyn, New York indie music scene. Their genre bending music has no bounds, inspired by rock, folk, jazz, bluegrass, and blues this high energy jam trio will blow you away. They have the uncanny ability to capture audiences small and large, young and old. Johnny and Calvin met while playing in Kreisor on Teepee Records. They soon found they had a lot in common and started playing as a duo in bars around Brooklyn. It was then that this Maryland Jazz cat and Kansas born Dead Head came to be the musical force they are today. 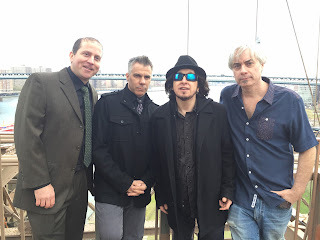 Soon they met drummer Jim Toscano and the chemistry between the three was obvious. In 2016, virtuoso guitarist TJ Jordan joined the group making the sound complete. 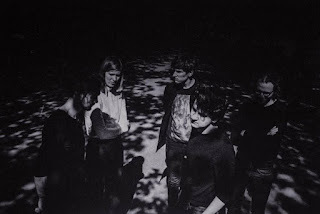 Their song Raven Hair is featured in the festival favourite One Wall – Kings of Coney Island. Their song Keep My Dream Alive is the theme of the film Shining In The Dark which was nominated in The Moscow International Film Festival, and they were invited to perform it there. Giant Flying Turtles are staunch advocates of music played well, from the heart, and their passionate performances are garnering them a consistently growing fan base in and around the east coast and beyond. Website here, Facebook here. Here we have the first four of the eleven tracks that make up the very fine 'Waltz To The World' album. The band have something pretty special going on here, there is a consistent level of energy and imagination centred around an overall band sound, however their skill in switching genres or just mixing them up in one song, makes for some fabulous variety. As a tease I would also add that the seven other songs are equal to, or even better than those shared here! 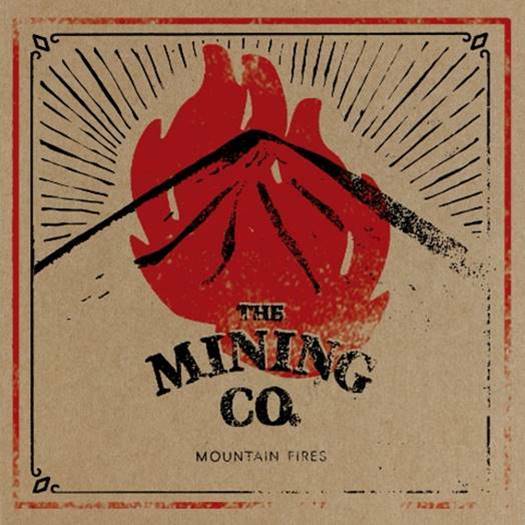 The Mining Co. - Mountain Fires. 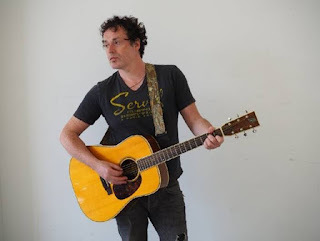 Background - The Mining Co.’s debut album ‘Burning Sun and The Atomic Powers Within’ released in 2016 was an intriguing collection of downbeat Americana and alt-folk tracks which signalled the arrival of a new artist to challenge the current status quo of artists in those genres. Gaining attention from the likes of The Guardian, Gigslutz and Amazing Radio and key taste makers germinating what now is a band that are set to prove themselves. 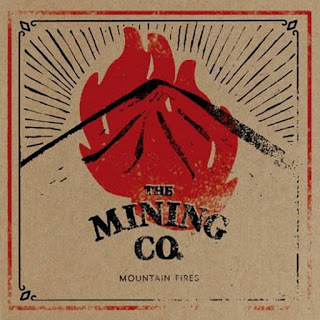 The Mining Co.’s sophomore album ‘Mountain Fires’ should do just this with principal member Michael Gallagher returning to the studio in Spain in which their debut was recorded to fully hone his craft with songs that were creatively spurred on by the processes involved in the release of the first album. It’s an album that looks back to a different time, a time of total freedom, a wild childhood, long days and nights spent listening to radio stations like Radio Luxembourg, before the internet and before mobile phone communication and the start of a love for music: Elvis, Springsteen, New Wave: the soundtrack to love - come, gone and missed - a celebration to the past that still shines brightly. From the minimal opening of ‘Julie’s Song’, Gallagher’s voice sounds deeper and more refined echoing in a distinct reverb and comforting with its angst and melancholy and the production seems polished and spacious. 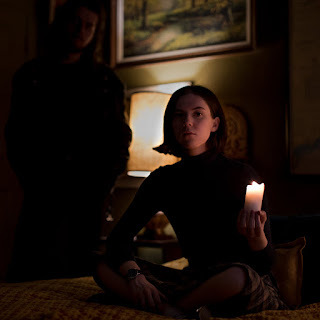 ‘Closer’ rattles with piano and retro organ with a darkness, Gallagher’s voice cracking from its deadpan style occasionally and reaching high notes offering an accomplished sound that yearns in histories coffee stained pages and sepia photographs and London’s grey streets and empty rooms and bars, recalling Nick Cave and Tom Waits perhaps with its darkness. Stand out track ‘Against The Grain’, is just what Gallagher is. A maverick music obsessive who is heading backwards and forwards at the same time, perfectly crafting his tracks in 2017 with a caution and care like the best 50’s and 60’s singers. He laments that he is ‘always against the grain’ as the track escalates with gorgeous strings and glockenspiel and shuffling drums. ‘Valentine To Write’ is another highlight with its instant upbeat moods and sweeping organ as Gallagher ponders on another ‘valentine to write to’ and that he can’t believe another year has passed him by. It’s a daydream of a song that deals with lost time and dreams and indecisiveness in love. It’s a superb collection of tracks that are rooted enough in traditions to be engaging but with enough quirk and eccentricities to find a place above the rest of Americana and folk’s recent bands and to cherish for years to come and to warrant continued listening. Gallagher is laid plain in some lyrics alongside other lyrics left veiled in metaphor and profundities. The Mining Co. are back with an album that should stand shoulder to shoulder with the best new alt-folk music around, so let yourself be taken on their gentle and psychedelic ride into glorious sounds. Facebook here. If the vocals don't just grab you & refuse to let go, then surely the musical arrangement will dig it's hooks in on 'Mountain Fires'. The timeless vibe that pours from this track is sublime, so it's time personally to back track on last years material whilst anticipating whats soon to follow. Julia P. - Oleander Dreams. 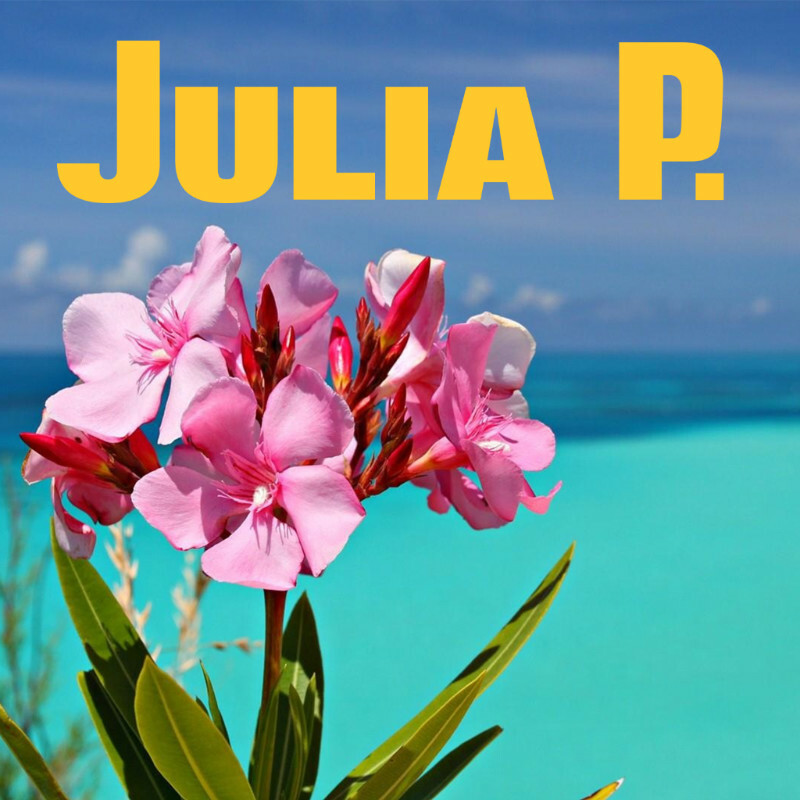 Background - Julia P's jingle jangle sixties pop songs and her clear and unique voice have brought her international fame. New single Oleander Dreams is a sticky sweet and poppy song with the trademark casual West Coast sound and it's bursting with joy. Oleander Dreams is the third single taken from her Summer EP. The previous singles did very well, Big Beach was even featured in the Apple US Hot Tracks and landed on various Spotify Playlists. Both singles got picked up by radio stations from the US to New Zealand. Julia P. Hersheimer first got noticed in 1991 with her Twin Peaks Forever cassette. Thereafter many albums, EP's and projects followed. 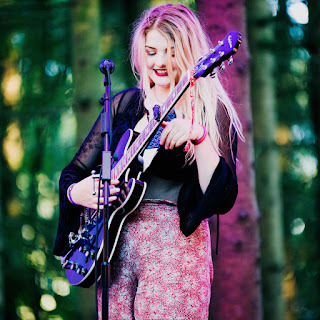 She shared the stage with Paul Weller, toured with dEUS and Daryll-Ann amongst other bands, was featured on the internationally acclaimed Eurosonic Noorderslag showcase festival, famous Dutch festivals Crossing Border and Lowlands, and on Dutch national TV. 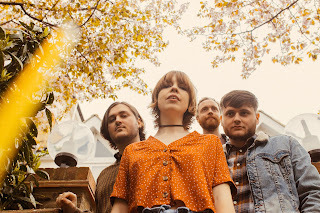 Accompanied by backing band The Hengles, her international sound reminisces artists like Sharon van Etten and Courtney Barnett. Oleander Dreams is released on 1 September 2017. Website here. It was only a few weeks back that we first featured Julia P. and the new song 'Oleander Dreams' really deserves a share as well. Unpretentious pop where the melody, vibrant music and delicious vocals and harmonies are all present & deliciously blended together. Anna Coogan - The Lonely Cry Of Space And Time. Influenced by her classical opera training and her father’s protest albums by Phil Ochs andBob Dylan, The Lonely Cry Of Space &Time is a stylistic breakthrough for Anna. 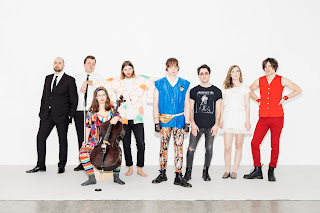 Call it operatic rock, a genre previously explored by the likes of Kate Bush, Jane Siberry, LeneLovich, Yoko Ono and Freddie Mercury, among others; there have been many attempts at rock opera in the past, but The Lonely Cry of Space & Time is something different. 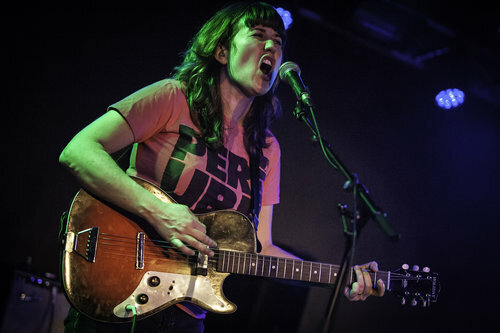 A distinct stylistic change from her previous solo work (The Nocturnal Among Us, 2010; The Wasted Ocean, 2012; and Birth of the Stars, 2014); Coogan explains her shift from the acoustic Americana of her past to the jangly, electronic buzz of the new album could be described as her “Judas moment.” As a guitarist, think of her rubbery, pneumatic, wah-wah sound like a combination of PJ Harvey, Courtney Barnett and her personal favourites, Bill Frisell and Marc Ribot. A true independent, Anna releases her own albums and books her own tours, which have taken her all over the world, including international festivals like the Blue Ball in Lucerne, Switzerland, Maverick in Suffolk, UK, as well as the Glasgow Americana Festival and Celtic Connections in Scotland. She has also played extensively in Germany and the Netherlands, and toured as a member of the Johnny Dowd Band. Live dates are listed on Beehive Candy's tour news page, website here. 'The Lonely Cry Of Space And Time' is the third song we have featured by Anna Coogan this year. It's another powerful rock track where her vocals once again provide emotional commitment & drive the melody, whilst the music is straight down the line rock'n'roll.